Happenstance brings you reminiscences from some of the brilliant shows on television, the ones that have come and gone, made us laugh, made us cry……. It was a dull Saturday evening. I was not in a mood to socialise. Hence cancelled the plan of watching Jai Ho. I was reading Arthur Hailey’s ‘Hotel’. I don’t what prompted me to suddenly put down my book. And started reminiscing about my childhood. And the good old television viewing experience of those days .One of the most integral part of my childhood memories is ‘Doordarshan’, and the quality serials aired. Way back in the 80s the only source of entertainment for us was ‘Doordarshan’. And I was fortunate enough to watch some of the best shows aired on dd. 30 years later the serials still have a very strong recall value. Doordarshan will always be remembered for telecasting programmes which were enriched in quality. And evoked a sense of happiness amongst us viewers. One such serial was ‘Wagle Ki Duniya’.It was aired from 1988-1990. The sitcom was directed by Kundan Shah. The show was based on the characters created by the eminent writer/cartoonist R.K. Laxman . He had scripted this beautiful serial. Circa 1988 ‘Anjan Srivastav ‘ became a household name with his portrayal as the bumbling sales clerk. Bharati Achrekar played the role of Mrs Radhika Wagle. I don’t remember the names of the child actors who played the role of Mr Wagle’s children. The extremely talented Sulbha Arya played the role of a maid in one of the episodes. Shahrukh Khan had also played a cameo role in the sitcom before debuting in Fauji. The performance given by the stellar cast and the story line has resulted in the series gaining cult status. This is quality acting and quality serial. So simple Yet very best. Miss those typical middle class houses, the colors of the walls. Simple interaction between kids and parents. Discipline of parents. I am pasting few links of the serial which I found on YT. Sit back and get transported to the Wagle world. All I want is a time machine now. Wish to be transported back to the golden period of my childhood. Truth be told, I don’t know how to write anything except petty fiction, but the urge that I need to pen down my thoughts has been pecking at my brain, nagging me for a while now, so here I am. And all this is about someone who is much more than just a TV celebrity to me, someone who brings a huge grin to my face everytime I think of him, inspiring me in many real life situations. 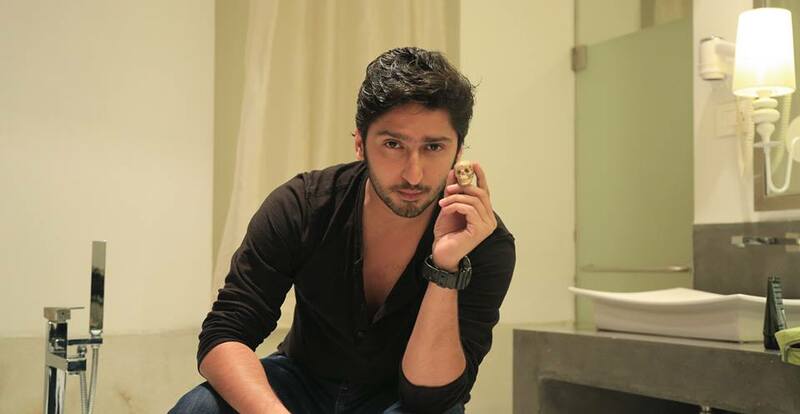 No guesses, he is none other than the dashing and the most amazing actor I have ever come across, Kunal Karan Kapoor. I went back and watched a few scenes of Yudi in LRL and believe me, he’s beyond cute. It was especially super-duper fun to watch him as Madonna. Can’t explain in words! Take a bow, Kunal for portraying Madonna so amazingly and for sure, playing the role of a glam doll was not easy but he did it with ease. The suicide attempt scene of Yudi gave me the shudders – goosebumps, brought a wave of sadness that remained with me for long. And then came Pratha and Amreek… The MOST adorable character EVER! Kunal and his Punjabi accent made me smile so much in awe that it hurt my cheeks. Trust me, I can sit all day, hear him speaking Punjabi and keep grinning. No doubt as Amreek, Kunal created wonders as always. So when did I start noticing him and falling for him is something I ask myself. It was during Na Bole Tum. It just happened. I only know that I began to admire Mohan during Prateek track, which continued increasing until the end of Rashmi track when I finally realized that I have fallen head over heels in love with this television character. TThe lone tear from Mohan’s eye after he joked about his confession during Rashmi’s engagement shattered me so much so that realization dawned and I knew that I just so cannot see tears in the eyes of this guy. “Waah Mohan Bhatnagar! Mazak mazak mein jo serious tha, woh bhi mazaak banke rehe gaya. Khud hi apne dil ke sachchai pe hasna padha tujhe”. Sigh! That’s all I did when I heard him saying the lines. I then saw his eyes. So pale and somewhere moist. My heart turned heavy, overwhelmed with emotions, of pain and hurt, and at last when he mockingly chuckled at his fate, trust me, something inside me… died! There are MANY beautiful moments in the show that made me love the actor’s natural performance. The off-screen segments, the interviews and the impact it had on me nailed down the fact that there is no other actor on TV that I have ever adored the way I do Kunal Karan Kapoor. It all started with his down-to-earth nature, smiles and laughter, way of talking, genuineness in every segment, obsession with his hair, moody nature, passion for traveling, attitude of putting heart and soul ito his performances… the list simply goes on. I do not know whether I even make sense or not, but in a nutshell, I would say that… I love Kunal Karan Kapoor as a human being and an actor. As days went by, my love for him kept growing. I started admiring and respecting him for the way he is. He inspires me truly. I remember the first time I got a job, I was irritated because I was too lazy to handle my school and work together. But then I thought… Doesn’t Kunal work for all days and even until midnights? So why can’t I? I should be motivated by my favourite actor and at last, I was. In fact I still am. Currently I am doing my second job and believe me, whenever I feel tired of handling it, I just need to remember Kunal’s struggle to reach where he is today. Nothing is easy, but he overcame every hurdle in life to establish himself in the midst of the crowd, and so I decided that I should take inspiration from him and do the same. But to be honest, most often I do feel that I won’t be able to do it anymore, but the next moment, Kunal comes in my mind and off I go! I was speechless and had goosebumps. My eyes went teary and my heart seemed to be ripped apart really badly. All the emotions together. Trust me; I never felt that way ever while watching any character portrayals on screen. Another heart-wrenching yet super amazing performance by Kunal was just before Mohan left home post Addu went missing. He did not have any dialogues, but his eyes and the tears in it said everything. Especially the moment left me in awe when he held the photo frame of Nanhi and Addu close to his heart and looking helplessly at Megha, trying to make her believe in him and his love for his kids. Throughout the scene I wished I could just get into the screen and hold him tight, making him believe in himself and support him while he is vulnerable. Sigh! One more scene of Mohan that stands apart in season 2 is his imagination of Younger Nanhi at Awaaz India corridor after he finds out that Navika is his Chawanni. To be honest, the entire episode right from him protecting his daughter from Daddaji to his provoking her to speak up against him just to be sure that she was his Chawanni was bang on. He did not have so much of dialogues in the latter scene, but his teary eyes spoke so much… Sigh! To express happiness of meeting his daughter after 12 years and on the same time, the pain to see hatred for himself in her eyes is NOT easy at all, but he did it flawlessly as always. Followed by, the corridor scene ended up making me cry. Mohan helplessly tries to make Nanhi believe in himself but he fails, so he just looks on painfully. No dialogues yet again his eyes did the magic and at the end, when he burst out into tears, trust me, I broke down too.
. I fell in love with Mohan’s nature and emotions because perhaps somewhere I started seeing myself in him in some cases. I love and respect his attitude of loving his family with passion and devotion, so much that it eventually destroyed him but he never ever complained about it. So much feelings for just one TV character – not an easy task for an actor to make his viewers do so, but Kunal did it with ease, perfection and flawlessness. Even as Mohan, when he flinches, looks on, says nothing at all, thinks about something or just smiles for any reason – I can feel everything. In his every single scene, he blew me away to a different world of Mohan Bhatnagar which was full of happiness, laughter and pain. Days went by, and my admiration knew no bounds. Everything was good until I found out that Mohan was going to “die”. On one side, I was depressed so much that I was quiet the entire day, but on the other side, I was super excited to see how Kunal would perform in this scene. And as always he didn’t disappoint me. Forget about disappointing, he did much more than what I thought. I still remember the moment when I watched Mohan falling off the cliff. I just could not cry as I always would, watching any emotional scene, but honestly I felt as if one of my closest persons left me for the time being, of course because I had a firm belief as well that he’s not gone. But even after knowing that he will come back and not would not be a different person but Mohan only, I was still depressed and feeling low. 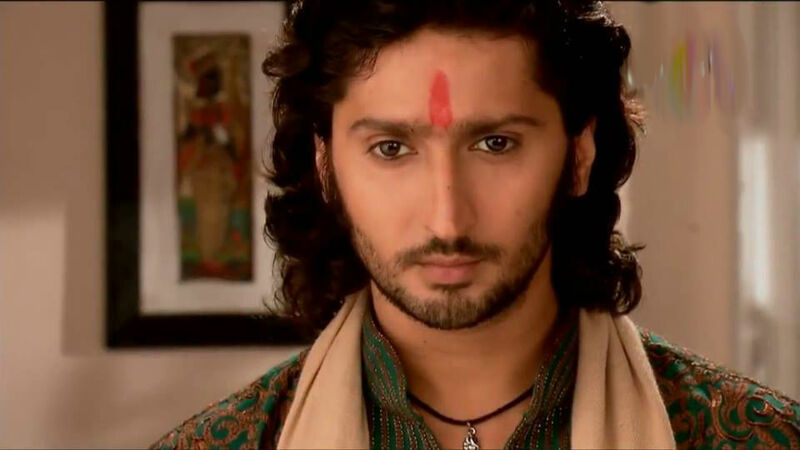 Then Vasu entered the show – a personality completely contrasting from Mohan Bhatnagar. His attitude and intensity are the two things that made me love him. Kunal made sure to make both characters completely different in every way, and he did it too as always because the mannerisms of both the characters were poles apart. On one hand, Mohan was a soft and caring person. On other hand, Vasu was cruel and intense with a mysterious aura around him. Kunal did both the roles with perfection. Period. Finally came the day when I heard the show would end. I did not react, perhaps because I was too busy with my family commitments, but when the D-day arrived, I had no words at all. I was numb because I knew that I won’t be able to watch Kunal on screen for a very long time. That’s my journey as a Kunal fan, experiencing his magic and continuing to love him more and more. Yet wondering if I have said everything. Honestly there is much more about him that I feel which I cannot express, but for sure that he’s the first TV actor I felt for, like this. I remember the morning of 4th May 2013 when I was checking live updates of ITA in a half-sleepy state. Since I live on the other side of the world, it was morning, I could not wake up but I could not afford to miss the live updates either. I was so desperately waiting to know who the best actor winner was and when I heard that it was Anas Rashid, I was upset, but then I realized that I never expected anything good from any award shows. Suddenly I saw a picture of Kunal holding the ITA trophy in his hands. I was shell shocked. My half-sleepiness flew out of the window. I jumped and literally started bouncing on bed, shivered in sheer joy, pride and happiness. I don’t know what else to say to express my feelings, would just say that I felt as if I was the winner and won something great myself. Now when he is not there, I would just say that I miss him loads. Just a glimpse of him makes me happy these days, and it was simply proven today when I was feeling low as there was no updates of him in the event and ended up getting mad at everything, but when I saw his picture, my heart calmed down and I felt happy again. In the midst of all, I even tried distracting myself, watching and getting into something else but all my attempts failed miserably and ultimately I came back to where I belong… the task of loving, admiring, respecting and missing Kunal Karan Kapoor. I would not lie if I say that the other reason of my smile and happiness besides my mother and few close friends is HIM. Even when I am depressed and feeling very low, he cheers me up and brings me back into the world of happiness in some way or the other. Just a thought of him and hearing his name would make my lips curve immediately. Everything reminds me of him, e.g. the books on the shelves at my workplace. I definitely sound crazy I know but all of this is true. Kunal Karan Kapoor has become one among the most important people in my life. And..I dream to meet him, hopefully someday; Hope afloat even after a decade. Saray raah jo unsay nazar mili ……. And it is some serious magic, you don’t think it’s possible, you don’t believe in it but “abracadabra” and you’re in love with him. What’s great is that he is not your average poster boy, I mean he honestly would destroy a Fair and Handsome ad and the company along with it (which doesn’t seem like such a bad thing in retrospect). He isn’t even good looking, as good looking men go. If you’ve been hearing a lot about him, searching on google for his pictures is not a great idea either because that would just turn you off him. But watch him act,.. not just any show but NBT and you realize he’s charming. A couple of episodes down the line he becomes cute, intense, adorable and then, before you know it he is downright handsome! It’s crazy I know, but it happens,……true story!!! Why I said “not just any show” is not because he wasn’t a good actor earlier, in fact if you watch his old performances now, you realize that he was very good even back then, when no one noticed him. It’s because Mohan, is pretty much him. It has come up many times that the character Mohan is a lot like Kunal and that is exactly how this spell has been cast on us, because that is what all of us are, isn’t it? Spell bound. All the sarcastic humor, guilt, good nature, pain, everything, it’s all him. And that is why it is so easy to become involved with him. To love Mohan is to love Kunal. And you might have noticed that as they first changed his character in season 2 and then his entire personality, the spell’s hold on us started to loosen. It won’t break of course because it lives through Kunal, but as the daily spell-strengthening ritual of watching Mohan (read Mohan from Season 1) came to an end we all experienced a sudden disconnect, a sense of unreality and betrayal. Because this new Mohan, we didn’t know him. Kunal being a brilliant actor still had us cry during the scene in the Awaz India office with Nanhi, after he discovers her identity, but I’m still not with the season 2 Mohan, like I was with our Mohan. Then came Vasu, and Kunal proved again that he is a victor, you throw anything at him and he will conquer it. How cute is it when talks in Marathi, right?! The last few months saw a revival of Kunal, thus reviving us from the enchanted sleep we had all seemed to be falling into. The parts with Vasu were great, unpolished and rude (but in a totally different sensibility from Mohan), Kunal managed to bewitch us all over again and in an all new avatar! But still, somehow, it just couldn’t match up to the sensation started by Mohan Bhatnager. Of course a great deal of the credit also goes to the character Mohan, if not for him we would never have met the great person behind him. And if not for Kunal, the character of Mohan would never have developed into what it did. But that’s just it, it’s Kunal and it has always been him. He’s damaged and flawed and so very real. Mohan becomes real to us because Kunal is and reality always warms your heart and touches your soul. Makes you want to help someone, wipe their tears, cover their wounds, be with them while they heal and keep them safe. So much of his on screen magic comes from his real life that you cannot but feel for him and I don’t know if he relates his life to that of his characters’, but in my head he does and that just fuels the whole craze. So, not meaning any disrespect, cast Mohan out of your minds I say. Let’s give it up for Kunal. Cheers to him and his attitude that colours all his actions. And cheers to that piercing, knowing gaze of his that stirs our souls and keeps the magic living.